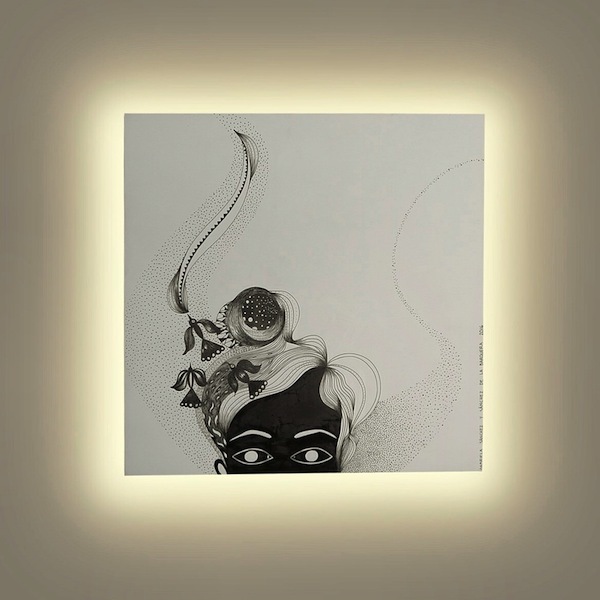 Gabriela Sánchez y Sánchez de la Barquera has been invited by DIEZ company, Astro lighting and Pro Mujeres Cautivas to intervene a lamp with her illustrations. The final piece was exhibited during Design Week Mexico (2016) and took part in an auction together with other 20 lamps. The money raised supported Mexican women in their life after prison.